Director Ali Jaberansari is expected to attend all screenings. 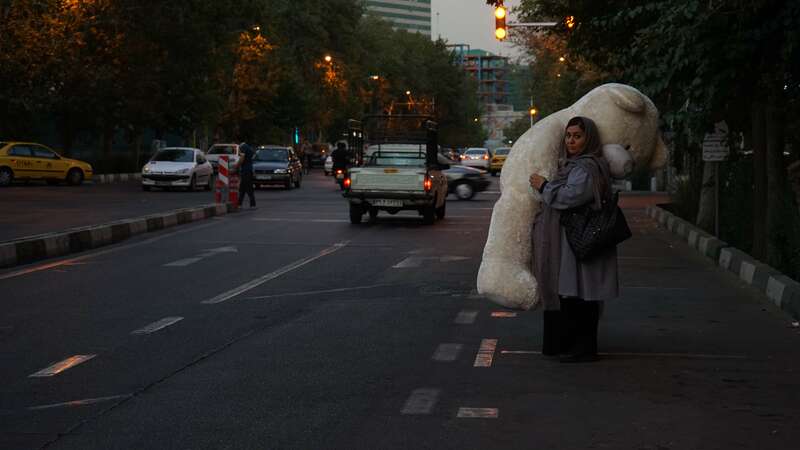 Three Tehran residents, unlucky in love, make attempts to change their solo status in this wistful and poignant film. A bodybuilder, a funeral singer, and a woman who works in a beauty clinic – each character finds that the pursuit of their respective dreams puts them in sight of a real emotional connection, yet something intervenes. By examining the circumstances that derail his protagonists within the larger context that Tehran’s title implies, writer/director Jaberansari provides a pointed take on contemporary Iranian society. “A revolution, an ensuing eight-year war, a theocratic government, the harsh divide between the private and the public and religious rules and customs have all made social realism the cornerstone of popular contemporary Iranian films in recent years, especially those that have been internationally successful. “While socio-political issues remain at the heart of the Iranian way of life, I am fortunate enough to hold a slightly different perspective. Having lived outside of Iran for a number of years while still maintaining strong ties to my country, has afforded me the liberty to retain a certain amount of distance from the harsh realities of life in Iran. This in turn has enabled me to have a darkly humorous point of view that runs at the core of this film and dictates my style as a filmmaker. “Lonely and disenchanted, the characters in my film are estranged from themselves and the society at large. Failing in their attempts to find meaningful relationships and truly connect to those around them, they face rejections they are not equipped to handle and are forced to find ways to persevere in a city that does not embrace them. While their predicaments may serve as the perfect context for a gritty social drama, I wanted to convey the hilarity and absurdity of their respective situations while still allowing the audience to identify with them. Ali Jaberansari began his career making short films, including Aman (2011), which won awards at the Angers European First Film Festival and the Lisbon & Estoril Film Festival. His debut feature, Falling Leaves (2013), won the Federico Fellini Award at the Tiburon International Film Festival. He also served as an assistant director on Babak Jalali’s Bay Area-set Radio Dreams (Festival 2016).